The secret is out! 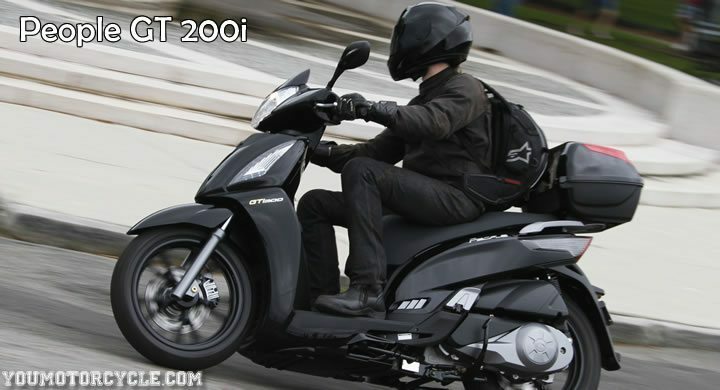 KYMCO has announced their new 2012 models. They will be offering four new scooters to us, with the new models ranging from 50cc to 200cc. The new models feature some great tech specs and these scooters shouldn’t be overlooked by any current or future motorcycle rider. First up is the Agility City 4T, an aggresively styled scooter that looks to be a winner. The Agility City is powered by an air cooled four stroke engine which should deliver a peppy, environmentally-friendly, and economical ride that will keep you riding pas gas station after gas station despite only a 5.8 litre tank. The Agility City 4T’s chief difference from the other Agility models is it’s 16″ wheels. The larger tire diameter should give riders plenty of stability across all of the road’s bumps and ruts. For those who need lots of luggage space, the Agility City 4T comes not only with underseat storage, but KYMCO is delivering the new scooter to customers with a top case already installed. KYMCO’s Sento series gets a revamp this year. 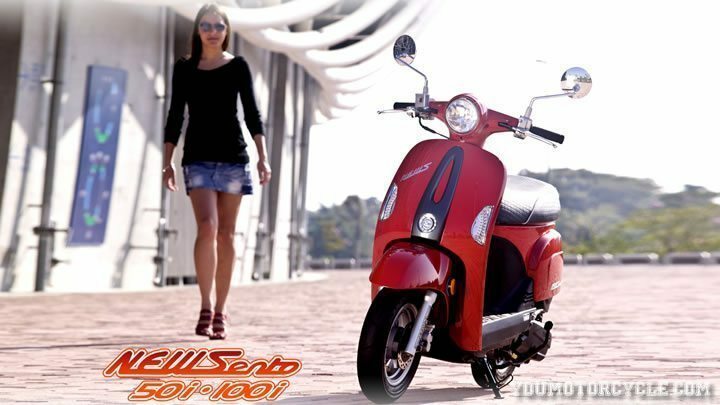 The Sento provided a great entry level 50cc scooter, with a low seat height and light weight, it was a zero-intimidation ride for new riders. This year KYMCO has brought in the New Sento series. The 50cc engine is now fitted with fuel-injection and boasts an increase in horsepower. We aren’t talking about massive power gains, but on a 50cc scooter that weighs less than 200 lbs (90 kg), every bit counts and means much more in where power to weight ratio is concerned. Also included in the New Sento series is the KYMCO New Sento 110i. Both scooters feature the same “classic” styling, derived from old Cushman scooters of the 1950s, the same inspiration behind Vespa design. The prospect of a 110cc, fuel injected scooter, weighing in at just 200 pounds, and coming in a variety of colours (black, blue, beige, and red) sounds extremely promising. While not the fastest new bike announced, the Sento 110i could very well steal the show for being a throw-back to old school design combined with new school technology and performance. The KYMCO People line up gets a bump up from the People S series to the new People GT series with the introduction of the People GT 200i. KYMCO has put a lot of attention to detail and the finer things into this scooter, making a scooter to be taken seriously. 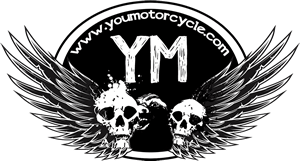 The mini-powerplant is a 205cc fuel injected, liquid cooled four stroke engine. The People GT 200i should provide the rider with more than enough power for highway jaunts as well as fuel efficiency in and out of the city that even a motorcycle can’t match. Coming equipped with a three piston caliper front disk brake, two piston caliper rear disk brake, and steel braided brake lines it’s safe to expect great feel and stopping power from the brakes levers. Be sure to check out our scooter safety tips, and other reviews. The future of scooters looks better and brighter then ever, as fun and simplicity meet the emerging trends in riding technology. Which of these scooters do you like best?